The Nigerian Polytechnics seems to be getting lots of Attention, and it’s for the good reasons. Seems like More and more students now prefers Nigerian Polytechnics, to Universities in Nigeria. Can’t be certain if it’s due to their JAMB UTME scores or due to not reaching the JAMB cut off marks, More candidates are eager to continue their education in Polytechnics. Nigeria Federal Universities And Courses They Offer! Using this Medium, I would love to reach out to all Candidates, who are searching for the list of Nigeria Polytechnics offering Agricultural science. All concerned UTME applicants, should note that this list, contains names of Polytechnics Offering Agricultural Engineering in Nigeria. This are the complete list of Polytechnics in Nigeria offering Agricultural Science. 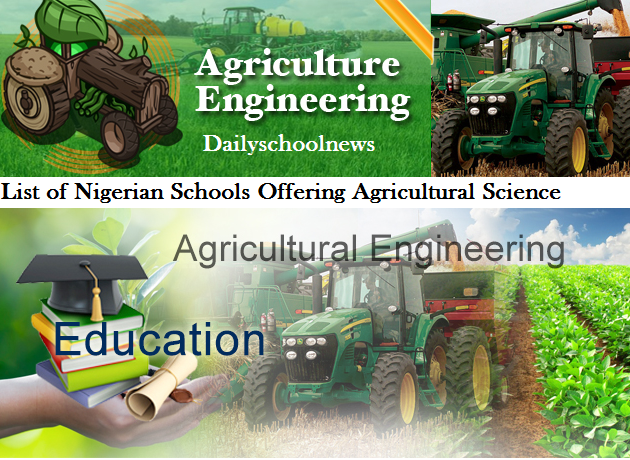 However, if you’re searching for the best List of Nigeria polytechnics in Agriculture, check the comment section, Because We’ll be updating you with more details. However, if you want to checkout the list of Nigeria Universities and their courses, here’s is it. Agricultural engineering is all about Farm Business, studying the environment and climate for the best growth of Crops and Livestocks.